Garden composter is made of Chinese fir wood with natural finish, it is long lasting in outdoor gardens and also anti insects. Two supporters are wide design, strong enough thus the composter is very stable. 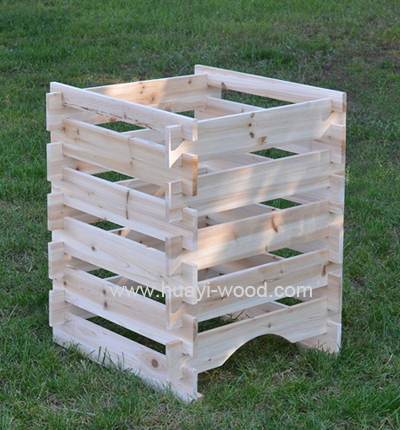 Assembly of the wooden composter is easy, just stack wood boards one upon another. They are inter-locking design thus will never fall apart.